My mom learned this recipe from a book, unfortunately the book didn’t mention the origin of this dish. Jilantin Al-Lahem is prepared from ground meat, onion, chopped parsley, bread crumbs, nutmeg, and egg, mixed together then formed into a log then wrapped and cooked in water. 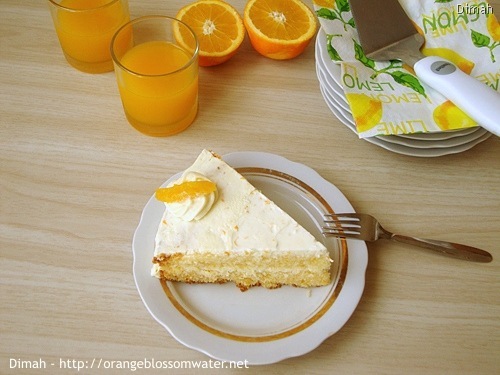 I served it with sautéed potatoes, and I’ll share the recipe of the potatoes in this post. 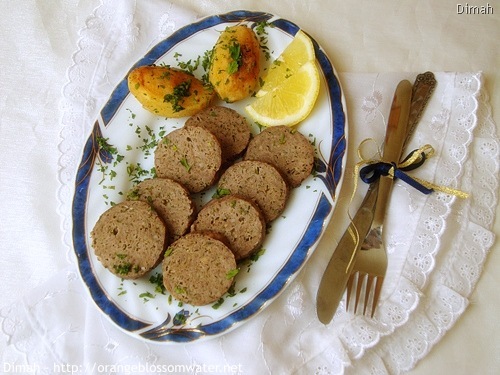 Mehshi Al-Bathenjan: stuffed with a mixture of rice and meat, served as main course. 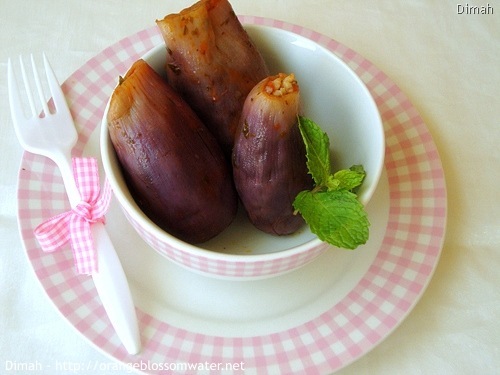 Yalanji Al-Bathenjan: stuffed with a mixture of rice and vegetables, served as appetizer or a snack. 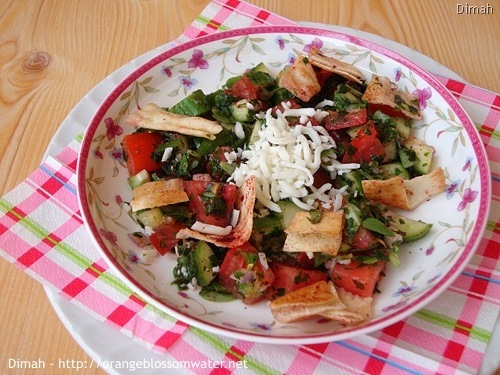 This is my second recipe for fattoush, read the first one here (Fattoush Khudar I). Fattoush is a traditional salad made from toasted or fried pieces of pita bread combined with mixed greens and other vegetables. 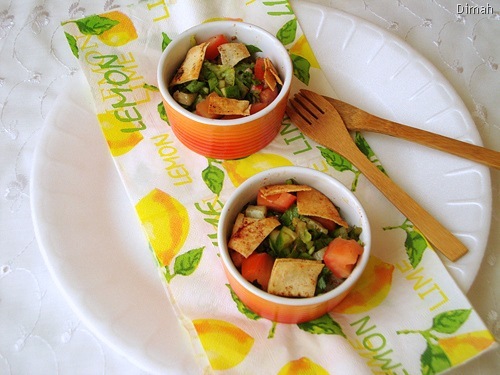 I’ve two recipes for fattoush, today I’ll share with you the first recipe. We call it “Fattoush Khudar” to differentiate it from Fattoush Maleh (khudar means vegetables).